The two companies met for a detailed consultation in Tampa, FL, to identify the needs, performance requirement and deliverable complexities. 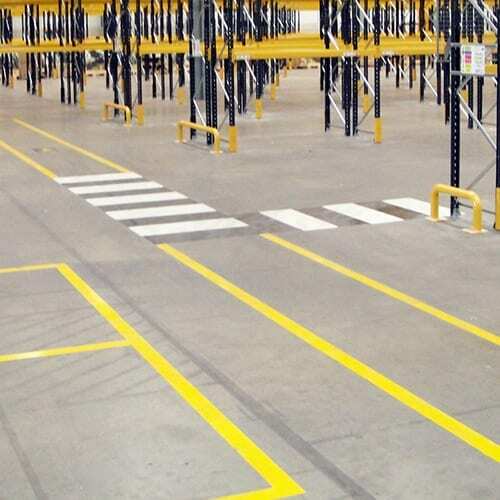 To installer with sequenced progress of warehouse floor striping and barcode signs, is something ASG Services excel in, however the accuracy of information gathered is critical in providing the idea specification in the first place. ASG’s technical sales and project management experts combined to draft a proposal and schedule which offered the most suitable solution, while taking into account budgetary constraints and usage. 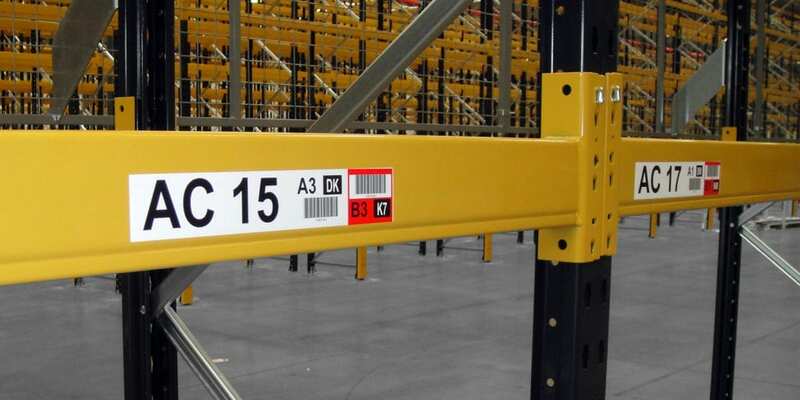 Specifications of rack labels, warehouse barcode signs and line striping vary considerably, and as a consequence so too does cost…, lower the spec, lower the price, but also lower the performance. Fortunately the beverage company is renowned for quality and consistency, ASG’s proposal was the premier and preferred option. 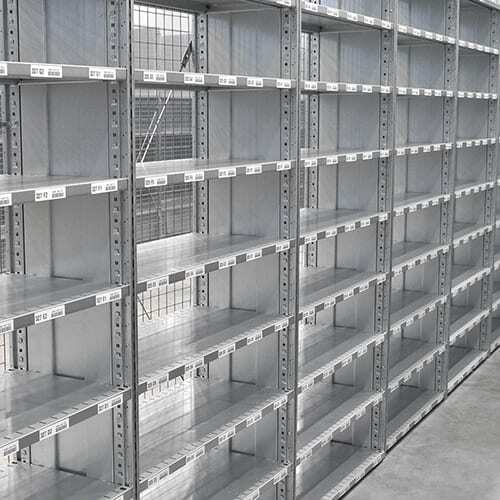 The rack labeling schedule was a relatively simple process to plan and undertake, thanks in part to the volume of SKU spread throughout the building. 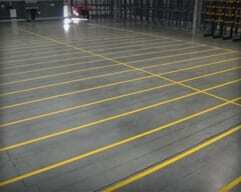 The wide aisle configuration meant ASG could offer a ‘Barcode-Down’ layout. 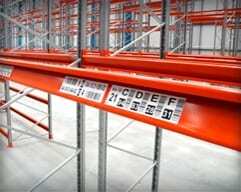 Polyester location labels with barcode and readable location references were located on the lower beams for references of the A and B levels, while a more durable plastic composite rack label were positioned on the frames, detailing the locations for all upper level locations. These also had barcode and readable content, but in a very different layout. Being an existing operation, ASG used a colored cover label to hide the old rack labels, preventing confusion while also improving the appearance of the rack face. 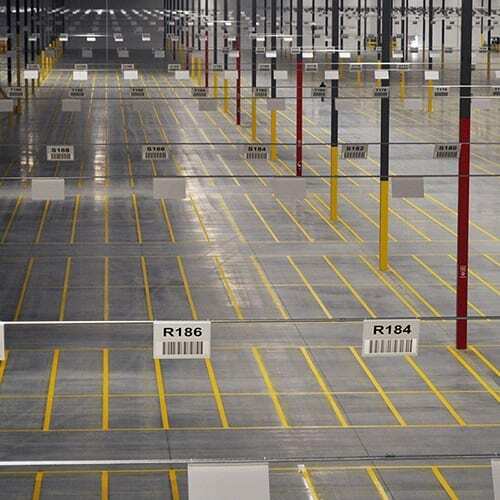 In total, 12,000 rack labels were installed in 3 days, which is swift progress in a busy facility. 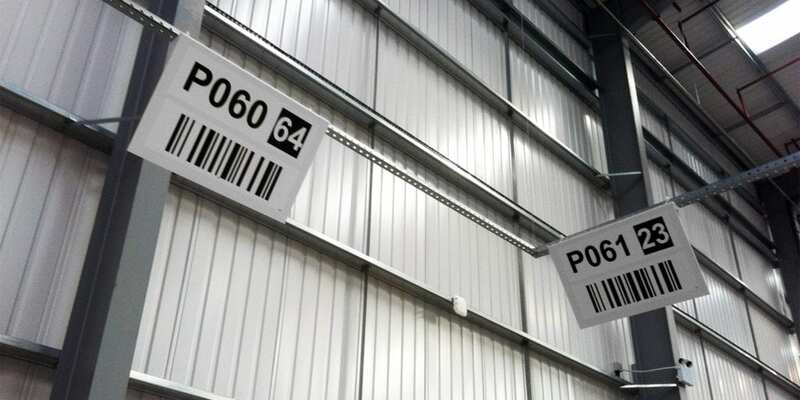 In addition to the id labels, warehouse aisle signs and dock door signs were installed, adding further reference and tracking points for the fast moving drinks. 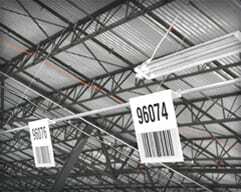 1,100 warehouse barcode signs were made at ASG, custom designed and produced with retro reflective barcodes, also including customer branding and color coding, further evidence of the brand and organizational focus of the customer. ASG Services installation teams are fully trained and highly experienced. They work throughout the US everyday as large and small groups ensuring accuracy, quality and speed on every installation. 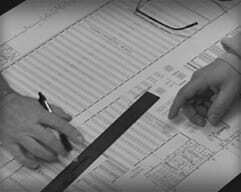 Supporting installation is the backbone of the company, the production department. Tenacious in their approach, they are rarely fazed and respond to a challenge with determination, short lead times are a frequent hurdle. Overseeing the project and those responsible for the complex floor line striping schedule was the project management team. 2400 Lin/ft of shot blasted floor striping as well as all the identification products were ready as agreed, thanks largely to the customers support with access and stock movement. ASG’s schedules leave little room for delay, which most companies see as an exceptional offering. 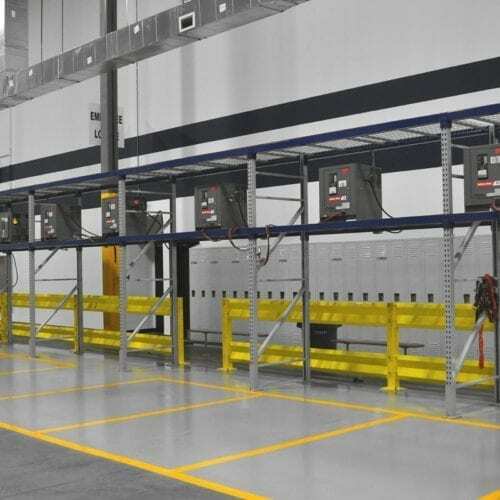 The line striping was created using shot blast machines and epoxy coating systems, recognized as the most durable and cost effective method of warehouse striping available. The shot blast preparation creates a surface for the paint to key to, vastly improving the performance and lifespan. The high performing installation team, world leading products and custom approach has helped make ASG Services the exclusive supplier of many huge and small companies, boasting household brand names across the world. Every customer is treated like royalty, it is recommended you try it! We welcome companies to contact us and discuss their needs, if you prefer to install the products yourself, we are more than happy to help support you with products and product preparation guidance. 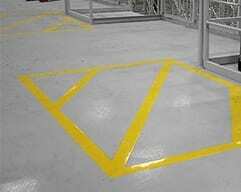 Customer requests 6100 sq.ft of floor coatings for their new distribution center, to create a barrier to acid spills and oil leaks.